No damage to life was reported but the material damage has been estimated to be over 50 million frs. The ground floor of this building was already occupied while construction work for two additional floors was still going on. 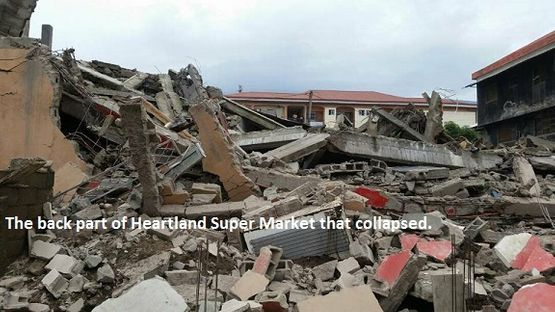 Though no official statement has been made to explain what caused the building to collapse, the incident has brought to question the technical ability of constructors and the quality of material used to construct houses especially in a seismic zone like Buea. Parts of houses have collapsed in Buea recently while under construction and many inhabitants have expressed fears that greater disasters will hit the town in case of any earth tremors or earthquakes. Buea is located on the slopes of Mount Cameroon which is an active volcano. The mountain lastly erupted in 1999 with little damage on buildings since most of the buildings at that time were constructed of wooden material. The town has gradually been transformed with tall buildings, some going beyond four floors above the ground level. 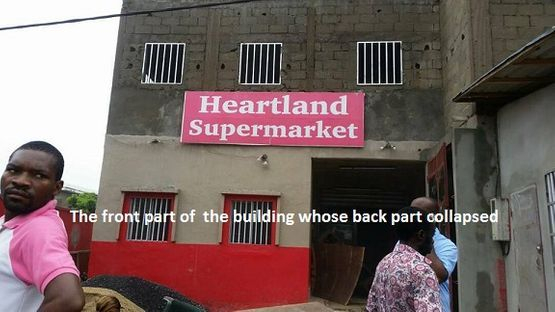 Also due to the high demand for accommodation in Buea, some landlords are gradually adding additional floors on their buildings whereas the initial foundation plans were not meant to carry the extra load.